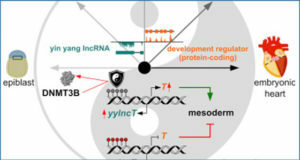 Long non-coding RNAs (lncRNAs), which have little or no protein-coding capacity, caught a particular interest since their potential roles in the cancer paradigm. As the most common cancer in women, cervical squamous cell carcinoma remains one of the leading causes of deaths from cancer. 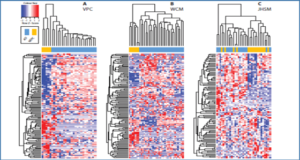 However, limited evidence is available to determine the role of lncRNAs in the prognosis of cervical squamous cell carcinoma. 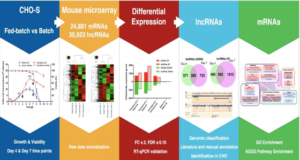 In this study, researchers from Hubei University of Arts and Science collected lncRNA expression profiling to identify prognosis related lncRNAs for cervical squamous cell carcinoma from TCGA database. In addition, they developed a 15-lncRNA signature based risk score to comprehensively assess the prognostic function of lncRNA. Furthermore, the researchers performed a ROC analysis to identify the optimal cut-off point for classification risk level of the patients. 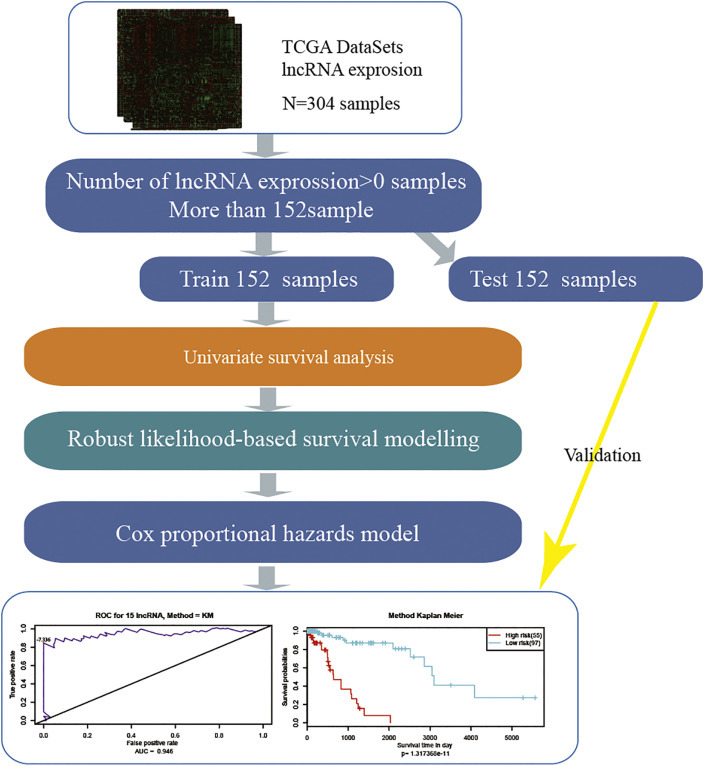 Univariate Cox regression models were used to assess the association between lncRNAs and prognosis of patients with cervical squamous cell carcinoma. A 15-lncRNA based risk score was developed based on the Cox co-efficient of the individual lncRNAs. The prognostic value of this risk score was validated in the complete set and internal testing set. Flow-chart of the study. 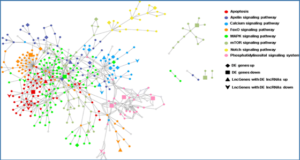 Abbreviations: TCGA, the Cancer Genome Atlas; ROC, receiver operating characteristics. 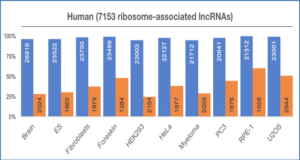 In summary, a 15-lncRNA expression signature (BAIAP2-AS1, RP11-203J24.8, LINC01133, RP1-7G5.6, RP11-147L13.15, SERHL, CTC-537E7.3, RP11-440L14.1, RP11-131N11.4, ILF3-AS1, RP11-80H18.4, RP11-1096G20.5, CTD-2192J16.26, RP11-621L6.3, and RP11-571M6.18) were identified and validated which can predict cervical cancer patient survival. 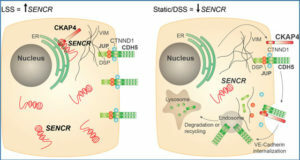 The potential functions of this 15-lncRNA expression signature and individual lncRNAs as prognostic targets of cervical cancer were revealed by this study. Furthermore, these findings may have important implications in the understanding of the potential therapeutic method for the cervical squamous cell carcinoma patients.